This area includes those who have an interest or concern in the liturgical and spiritual formation of the parish. The Liturgy Team facilitates the SCL community’s celebration of its unique and communal experience of God in our lives. The Team strives to bring alive our Roman Catholic rituals and symbols in meaningful and thoughtful ways, utilizing all five human senses. Team members utilize a variety of ways to raise awareness, educate and catechize people about the rituals, symbols and traditions of our prayer celebrations. The Team leadership contributes to developing ongoing relevant and vibrant liturgy by coordinating open dialogue between the Liturgy Team, SCL parish, the Chicago Archdiocesan Office of Divine Worship and liturgy teams of other parishes. Team members may become involved with education, environment or general assistance, as needed. The Team meets four or five times per year. The Committee helps provide the children of St. Catherine Laboure Parish both day school and Religious Education, with opportunities to actively participate in liturgies in the hope that by doing so, they can learn to understand the importance of liturgy in their lives and eventually become more involved in it as they grow older. Of all the ministries restored to the laity by the liturgical reforms of the Second Vatican Council, perhaps none is more important than the ministry of the lector. Along with the deacon, the priest and the bishop, the lector is entrusted with the crucial task of making the word of God come alive by proclaiming it for the Christian assembly. A well-prepared lector can do much to enhance the celebration of the liturgy by prayerful and powerful proclamation of the word of God. Such a proclamation can touch and move the whole assembly, serving as an instrument of God’s grace. Contact the Rectory 847-729-1414 for more information. Men and women of the parish are trained and commissioned to assume this Liturgical function of distributing the Body and Blood of Christ. They commit for a minimum of a three-year term of service as Auxiliary Ministers of Communion for the weekend Mass. They serve every three weeks. If you are interested in this very special ministry, please contact Rosalie Dentzer at 832-1203 for more information. Parents are required to attend a special class before the Baptism of their first child. The deacons and priests explain the history, theology and symbolism of our current Baptismal ceremony in an attempt to have a more meaningful celebration. Meetings are held twice a month in preparation for Baptism, usually on a Tuesday evening at 7:30 p.m. in the Rectory. Click here for Requirements and Baptism form. For more assistance, contact the Rectory at 729-1414. Serving our Lord at the altar by becoming a server is a special ministry for our youth. The students in the fifth grade are invited and encouraged to pursue this ministry. The qualifications are: to be willing to accept the responsibility of keeping their appointments; to have respect and reverence for Our Lord in the Blessed Sacrament, our priests, teachers, and fellow students; and to wear the proper attire. This is a great opportunity to give witness to the faith community, to acquire discipline, build character, and to get to know the priests in the parish. Contact Jessie Kunnel at 847-498-5747 for more information. 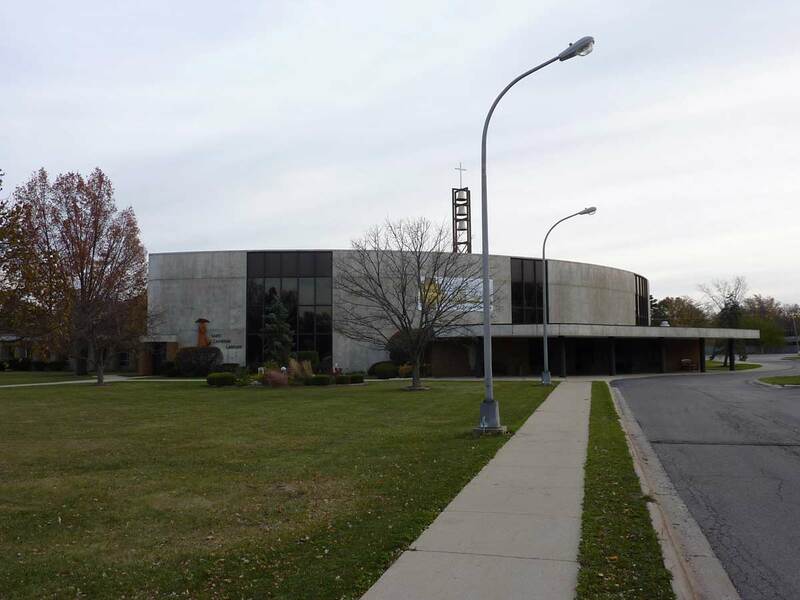 Ushers are the ministers who welcome parishioners, collect the weekly monetary offerings and assist with various details at Saturday and Sunday Masses. If interested in serving as an usher, please contact Douglas Meder at 724-2580. Currently two music groups are available to SCL. The SCL Adult Choir was formed in October 2005 and is always open to new members. The Adult Choir sings at one Saturday 5:00pm Mass each month and one Sunday 9:30am Mass twice a month. Rehearsals are on Thursday nights, 3 times per month. For more information, contact Sr. Chris at 847-729-2220. The SCL Contemporary Ensemble Group sings at Sunday 11:00am Mass and practices on Wednesday evenings. For more info, contact Julie Ratschan at 847-498-3064. Also known as the Rite of Christian Initiation of Adults (“RCIA”), this ministry is about A Journey of Faith. If you, or someone you know, are interested in the Catholic faith or have questions about Catholicism or are curious about the Catholic way of life, “seek the Lord while He may be found; call upon Him while He is near.” RCIA, a catechetical program developed on the premise of conversion, the coming to faith, is an ongoing process. In addition, while recognizing this process is a lifelong journey, here are significant events in our lives, which, when reflected upon and shared, may become experiences of grace and growth for all concerned. RCIA serves as a wonderful opportunity for adult non-Catholics who would like to be initiated into the faith, for those who have been baptized in other Christian churches and hear a calling to become Catholic, or for Catholics who desire to learn more about their faith, the Good News and the people of this friendly, warm and loving Eucharistic community. In other words, RCIA has something for everyone! Contact the Rectory for more information: 847-729-1414. The Group prays the rosary daily during the week after the 8:00am Mass and on holidays at 8:30am before the 9:00am Mass. Through praying the Rosary and meditating on the Mysteries, we share with Mary, our Mother, in the joy of Christ’s birth, in the sorrow of His passion, and in the glory that is Mary’s with Him in heaven. We also conduct the First Saturday Devotions to Our Lady of Fatima following the 8:00am Mass. There is also a Holy Hour on Monday evenings at 7:00pm in the Chapel. One of the many ways to serve our Lord is through praise, prayer, and obeying His command to love another, especially through the action of the Holy Spirit. This group appeals to those who want to help us pray for others, those who are hurting and in need of prayers, and those who would like to learn more about our style of prayer. We meet in the Teachers’ Lounge at 7:00 p.m. weekly on Thursdays. Our meetings are usually less than two hours long. We have songs of praise, scripture reading, prayers of petitions, teaching and a fellowship time of sharing. We encourage everyone to come. The very heart of parish life is the Liturgy of the Eucharist, Christ’s flesh and blood made sacramentally present under the appearances of bread and wine. Vatican II says: “… For the Holy Eucharist contains the Church’s entire spiritual good, that is, Christ Himself, our Passover and living bread.” All are invited to commit to one hour per week, day or night, in personal devotion, prayer or meditation in front of the Blessed Sacrament in the Chapel of the Holy Family. This quiet refuge gives us peace and joy by creating a “niche” for ourselves from our hectic weekly schedules to be with Jesus. Your commitment allows the chapel to be open 24 hours per day, 7 days per week (except during Sunday Masses, 8:00am to Noon). The entrance code to the side door is 1340*. Children are always welcome. For more information, please contact Evie Ulivieri at 724-6291. During the months of May and October, pledge cards and rosaries are made available to parishioners. The rosary is said after daily Mass. Ministers of Praise are parishioners who remember SCL in their daily prayers. United prayer is a spiritual powerhouse through whom God can channel blessings to our priests, staff, parents, youths, inactive Catholics and anyone in need of spiritual strength and direction. There are no meetings to attend. Some special intentions for the month are listed in a monthly newsletter.